Former rodeo clown and perpetual presidential candidate Rick Perry faces up to 109 years in prison. Rick Perry, the real life cowboy and former Texas Governor, might want to saddle up and prepare himself for some unorthodox ‘Wild West’ scenarios. 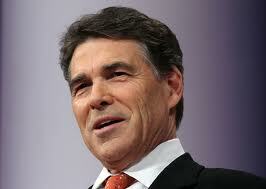 Former rodeo clown and perpetual presidential candidate Rick Perry. A federal judge has refused to throw out abuse of power charges against Perry, meaning he may soon face Brokeback Mountain themed, prison performances on a daily basis. Although this news stands to dash any chances of a credible presidential run, Perry announced that the looming criminal case won’t affect his 2016 campaign. August of 2014 saw Rick Perry face three charges: abuse of official capacity (a first-degree felony), coercion of a public servant (a third-degree felony), and indecent exposure (a prevalent felony among delusional middle aged men). Although Perry has spent more than $1.1 million of his campaign funds on his defense, he still looks ridiculous. In a 60-page motion filed last August, Rick Perry’s legal team stated that the law being used to prosecute the climate change denying, Bible quoting Texan is farcical and questionable, similar to Perry’s credibility. Initially, without a moments hesitation, top national Republicans lined up to decry the criminal charges against a man who once cited MacGyver as his “main inspiration” — however, they’ve been less vocally supportive as the evidence against Perry piles up.